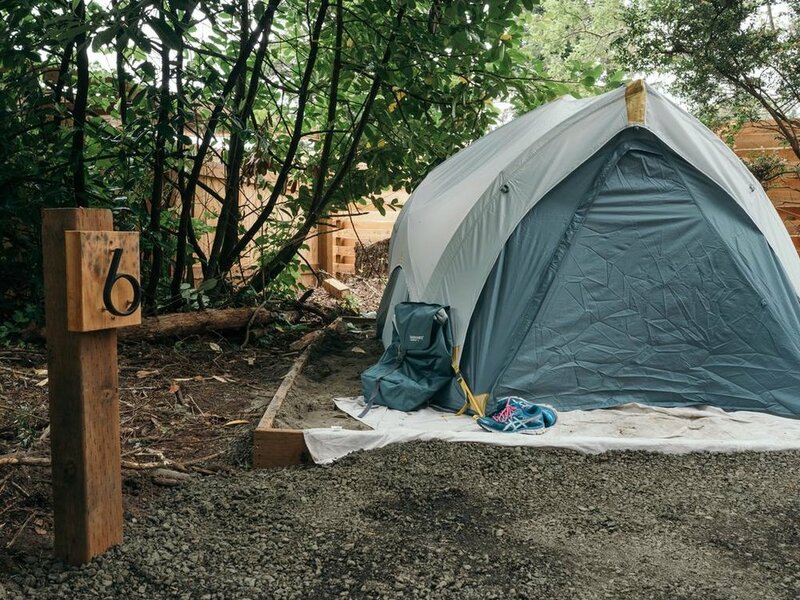 Loge Camps at The Sands couldn't be more aligned with the Just Add Yoga mission. They are all about community, making friends, and that perfect balance of activity and relaxation. Which of course, it what this weekend is all about! WHERE NEW FRIENDS WILL EVENTUALLY BECOME OLD FRIENDS! See what we mean? Sign us up We want to be there right now instead of at work! Don't you feel more relaxed just looking at these photos? You are welcome to do as much or as little as you like on this trip. Below is the general of itinerary for the weekend. There may be more added or times changed as the retreat gets closer. But, don't worry, we'll keep you up to date. Afternoon - Free Time, Rent wetsuits, boards, kayaks, SUP, bikes, or just chill on the beach, the choice is yours. 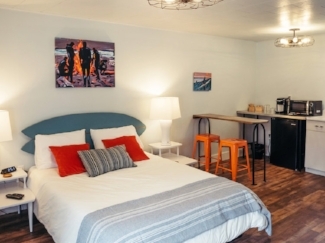 You will receive 10% off all rentals from the surf shop. Lunch on your own. Just Add Yoga, of course! But more specifically, Casey Peterson will be leading yoga and Jess Fleming will be your host. This is one of the best parts of the retreat! 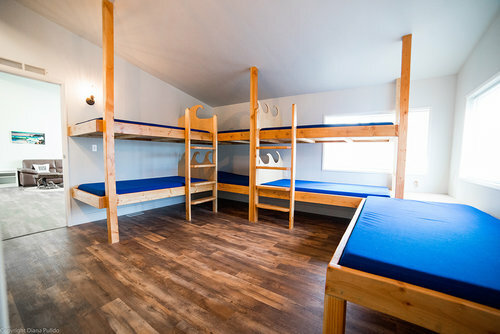 You can opt to camp, stay with friends in a bunkhouse, or shack up in a queen suite. There is something for everyone! Most room have the option to be reserved on your own or shared with someone else, be it your spouse, friend, or another yogi traveling on their own. The campsite is a bit more hidden away and includes access to community fire pits. Unlike the other sites, these don't come with covers, power, or water but all the property amenities (including hot showers!) are still yours to enjoy, plus you get free views of the stars! Access to these sites is along a private trail, and does not include drive up access. Rentals from the surf shop - You do get 10% off though! 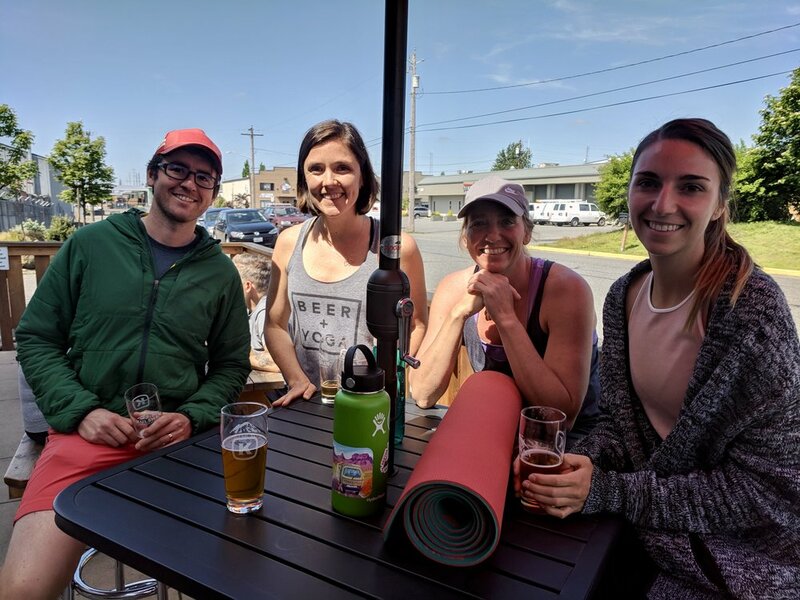 You will get to move your body with an amazing yoga teacher, chill at the beach and/or give surfing a try, and share time with some really cool people over a beer. Pure relaxation with no expectations! The weekend will be full of casual vibes and all things awesome.....it’s going to be really cool weekend!